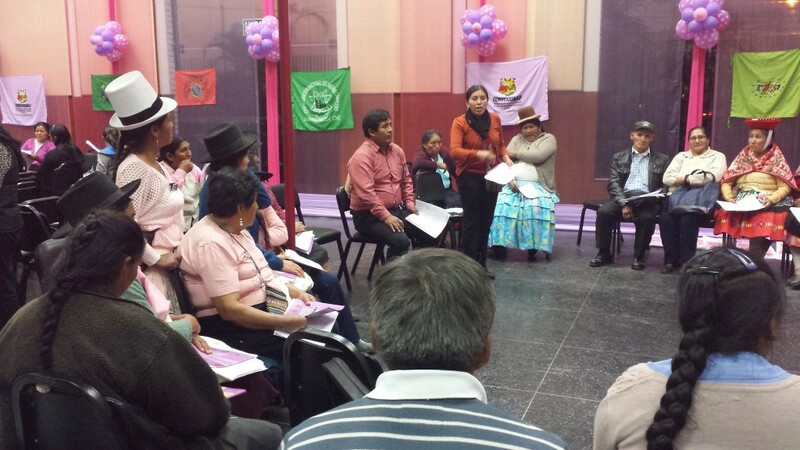 This was one of the big goals that FENMUCARINAP, a Thousand Currents catalyst grantee, gave itself during its 2016 national congress in Lima, Peru. 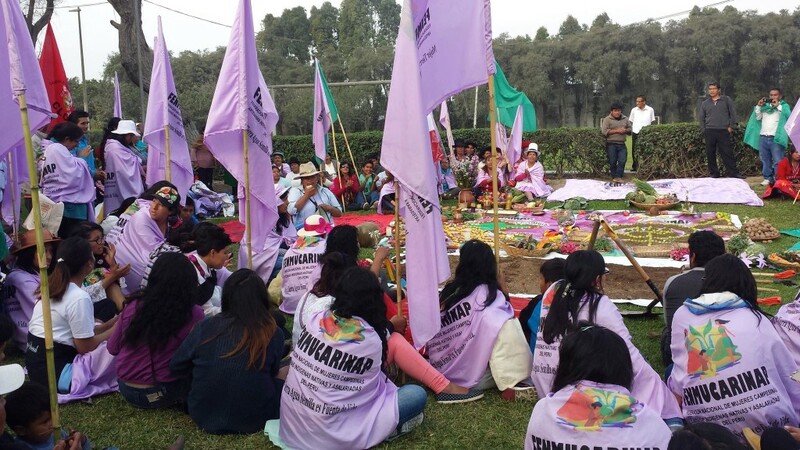 FENMUCARINAP is the National Federation of Indigenous, Peasants, Artisans, Native and Wage-earning Women of Peru, a grassroots social movement, founded on August 19, 2006. 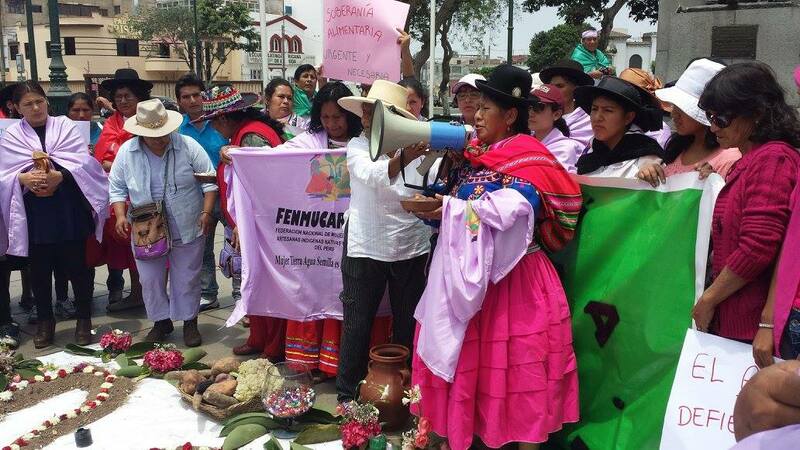 FENMUCARINAP works with over 126,000 women in 21 states in Peru, focusing on a holistic agenda that includes food sovereignty, land and territory and rights for indigenous people and women. Is being part of the government structure an effective strategy to make policy change that will favor indigenous communities? Or human rights, for that matter? FENMUCARINAP seems to think so. FENMUCARINAP organized a one-week seminar and participatory strategic planning process from October 12 to 20, 2016 in Lima, inviting all its members who are based in 21 states in Peru. Around 200 members have arrived, mostly women. Yes, there are men who are members of FENMUCARINAP as well. The first four days were organized mostly in a conference setting, where different speakers came to share contextual analysis on several issues: food sovereignty, sexual and reproductive rights, right to territory, climate change, dignified work and intercultural education. But after each presentation, there was group work, where members had to discuss their own challenges and propose their own solutions. The last three days have been mostly focused on internal strategic planning where FENMUCARINAP made the final approval of their strategic plan 2016-2021. FENMUCARINAP had invited Tania Pariona, the first indigenous young woman from Ayacucho, to be elected into Congress this year to the opening speaker of this process. FENMUCARINAP sees her as an ally in the government that can support their advocacy strategies for women rights, especially indigenous women’s rights. They also realize that she needs more support within the government, as there aren’t many other indigenous Congress members in Peru at this moment. 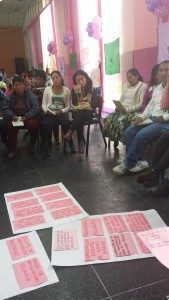 Pariona’s election into the Congress is not unique to Peru, as we have seen a number of indigenous leaders selected into Congress in Guatemala last year. In the meantime, as 2021 is quite a distance away, FENMUCARINAP is already building strategies to hold government accountable under a new presidency that started at the end of July 2016. 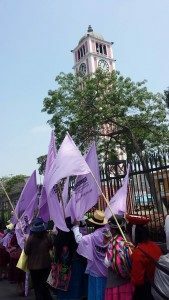 On October 18, FENMUCARINAP organized a march that passed most of the government offices, ending at the University Park, near the Peru’s Congress. During the march, Lourdes Huanca, FENMUCARINAP’s president and other members of its Council went to the Congress to present all the rights that FENMUCARINAP’s members had collectively put together in the days before and request the Congress to support. At the University Park, three congress members did arrive to share their commitment to advocating for these rights. 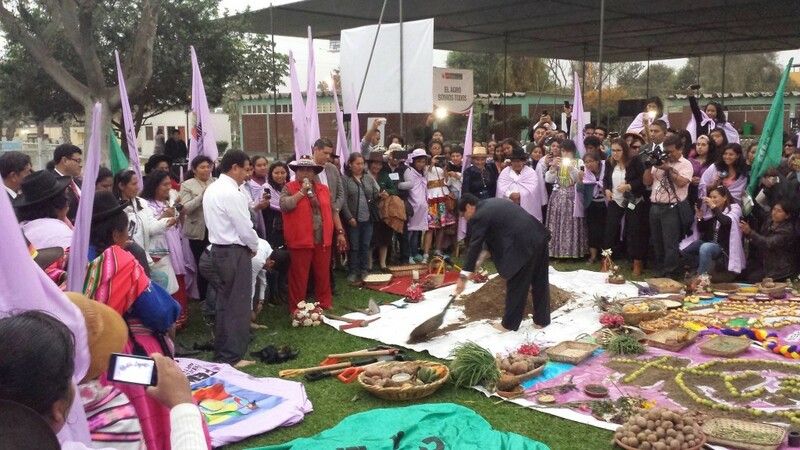 Once the Minister and Vice-ministers arrived, FENMUCARINAP did a mística ceremony to give gratitude to Mother Earth. Lourdes Huanca then invited the Ministers and Vice-Ministers to make furrows from a mound of earth and to do it the way indigenous women farmers sow – in bare feet. It took a while for the Minister and Vice-Ministers to understand what was being asked of them and eventually they accepted to take off their shoes. After they build their furrows, the indigenous women farmers, members of FENMUCARINAP also joined them. That moment made it very clear that the ones who work on the land continually are the women farmers. It surfaced a troubling question: Who are the people who make the decisions for agriculture at the national level? This is why the strategy of entering Congress or any government office can be effective. It is a strategy of being directly at the decision-making table. And FENMUCARINAP wants to achieve it.